Another perfect day for a swim in Bangkok. A friend's high rise apartment comes complete with a swimming pool and various other recreational facilities fit for Thai royalty. 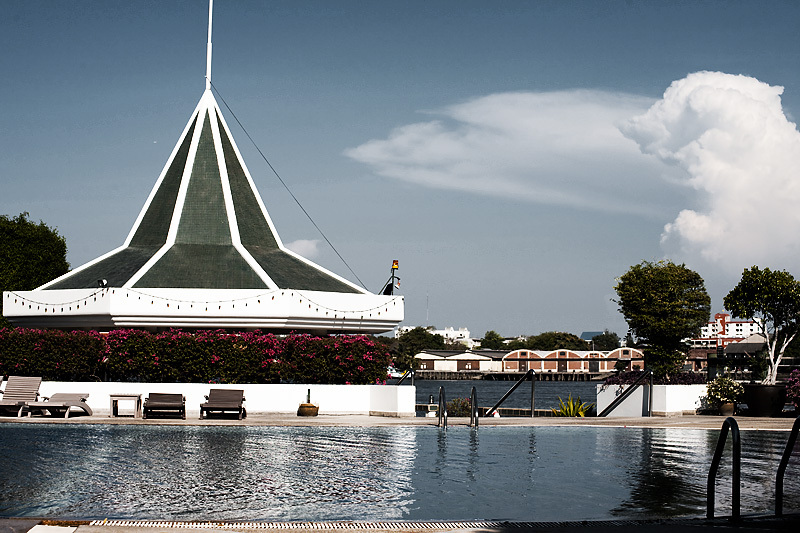 The swimming pool overlooks the Chao Phraya river and can't be beat when the weather begins to hit "flip-flop melting" levels. 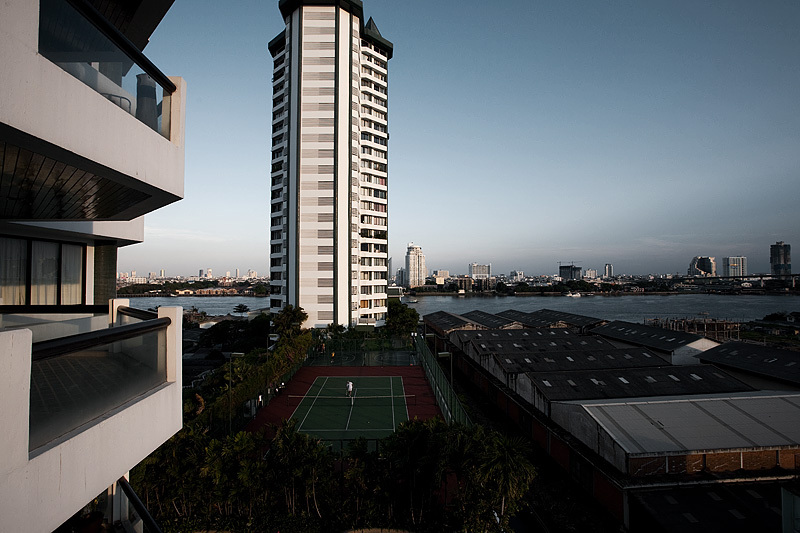 A view to the river and tennis court from a Thai high rise apartment's balcony. My German friend inside her apartment provided to her by her company. She's living the dream, ladies and gentlemen - to be paid western wages and live in Bangkok. If anyone knows of such an opportunity for a lowly travel photographer, shoot me a short email. If you email me, allow me to take this opportunity to answer "yes" in advance. can you provide me with the name of this apartment building?